The Best Cafes In Tokyo! Hidden Gems, Popular Chains And More! Here's an article on the many genres of cafes in Tokyo and some of the very best places you should go to! Tokyo has an abundance of stylish cafes with creative modern interiors, often serving light meals, or just pastries and other sweets. There's also a growing taste for specialty coffees. Tokyo has you covered if you're a coffee lover! Blue Bottle Coffee is a coffee chain shop that originated in Oakland, California. It was a small shop located in a local area, but as they served the finest coffee called "third wave of coffee", using innovative technology of drip brewing and selected coffee beans, they soon got very popular and spread all over the state, and then in New York and Washington D.C. They have branches all over Tokyo, the one pictured above is in Nakameguro. The reason for the popularity is, of course, the great taste of coffee. Every cup of coffee is brewed for every customer in front of their eyes. So it takes longer but tastes much better and more flavorful than what you would get at major chains. The regular drip coffee is 450 yen. They also offer some espresso type coffee, like cafe latte (520 yen). You can also try some of their delicious waffles! Cafe in Japanese is sometimes translated as "kissaten" (喫茶店). In modern Japanese, however, the term kissaten is mostly used to refer to a kind of authentic cafe that had it's glory days during the Showa Era (1926 - 1989). They are much more old-fashioned and are generally more popular with the older generations, although some young people do have an interest in kissatens as well, as they are sort of a glimpse into the past. The kissatens also tend to have a very cozy atmosphere, the kind where you feel comfortable chatting or reading for a long time. The prices are usually more expensive than the average cafes. You can usually have sweets, light meals such as sandwiches, along with good-quality coffee. Chatei Hatou is a great authentic cafe locate near the Shibuya Station (3-minute walk from the East Exit). It's hard to believe that this place is in the heart of Shibuya, one of the busiest cities of metropolitan Tokyo. The atmosphere is really relaxing with the classical music playing and the dim lighting in the evening. The coffees are about ¥850 each and you can get a popular banana chiffon cake for ¥500 yen or a croque-monsieur (grilled cheese sandwich with ham) for ¥750 yen. This is the perfect place to spend some downtime after having explored the overstimulating Shibuya district. There are three chains that really dominate the cafe scene in Japan. They each have over 1,000 store locations in the country, so you can find them virtually everywhere, especially in Tokyo. 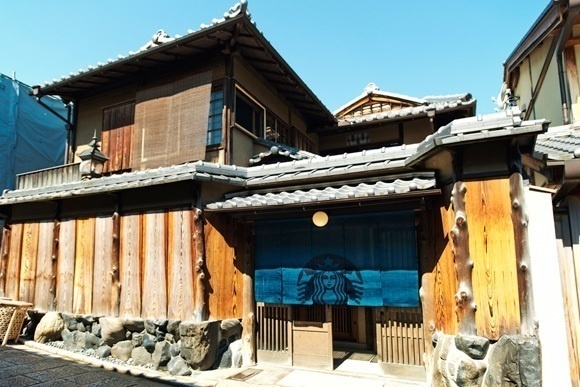 The one with the most addresses is Starbucks Japan. There, you will find all the classics plus some Japan-only drinks such as the Matcha Frappuccino. What is interesting about Starbucks' cafes is that they do put a lot of effort in adapting their design to the surrounding environment. This is a store that you will find in Kyoto. The next most popular chain is Mister Donut (commonly called mis-do). It specializes in donuts that are definitely worth the try! They are made with some rice flour, so their texture is quite different than the standard western donut. They are also fairly cheap (about ¥150) and they're much less sweet than any Starbucks sweet. The coffee is about ¥300 and for that price you get unlimited free refills! The next most popular cafe chain is Doutor. Their signature menu, the "Doutor Blend Coffee" is only ¥220 (small), ¥270 (medium), and ¥320 (large). They utilize the flame roasting technique for their coffee instead of hot air one that is commonly used for roasting coffee beans. It enhances the rich flavor of the coffee beans. Many will argue that Doutor serves the best-tasting coffee at that price. You can also buy sandwiches such as the "Milano Sando" which is made of nicely baked bread stuffed with many ingredients. They usually have 4 types of "Milano Sando" containing ham, shrimp or chicken, all are around ¥400-¥500. You'll find in Japan a wide array of concept cafes that cater to people that have some specific interest. Maid Cafes are all the rage in Akihabara, the so-called "electric-town" where you find loads of gadgets, laptop computers, video games, manga and anime-related goods. Maid cafes are staffed with girls dressed in cute maid costumes. You can chat with them while you enjoy some cute foods and drinks. 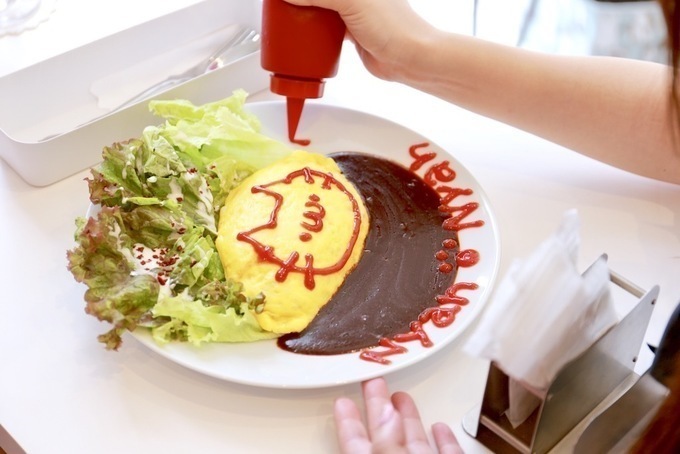 Zettai Ryoiki, a popular maid cafe in Akihabara, has maid wearing cat ears that will entertain you with some funny rituals while serving your food. They also do some "wotagei" dances on the stage in the cafe! Wotagei is a type of cheering dance involving clapping, jumping and chanting slogans. This is an example of what you can order if you go to Zettai Ryoiki. The omelet on rice (omu-rice) is decorated at your table by the maid herself. Cat cafes are places where you can pet many gentle cats while you have a drink or a bite. They are very popular in Tokyo. Many Tokyoites live in tiny apartments, so many people refrain from having a pet, even when they love animals. So this is a place where you can enjoy the company of cats without having to have the responsibility of taking care of one. Cat cafes are usually pretty small, but this store is 4 times bigger than the average size of cat cafes. It is not just big, but the comfortable couches make your cat cafe experience even more relaxing and soothing. 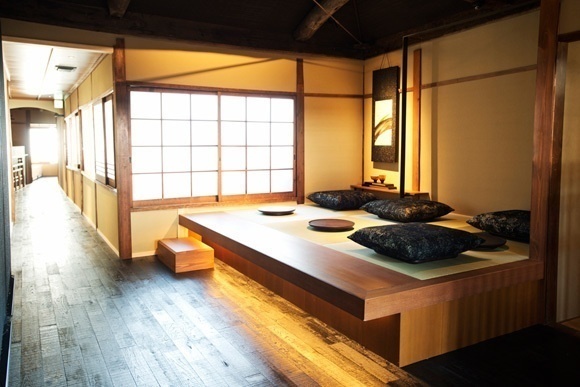 During the summer, they have tatami seats, and kotatsu seats in the winter to enjoy the traditional Japanese interior. Moreover, they have computer desks for people who want to work, and bed seats for people who want to sleep and snuggle with the cats. You can choose a quick 10-minute plan, which is only ¥200, or a free time plan of ¥2000 (¥3500 during weekends). Although they do not have a food menu, you can pay ¥350 for a free drink plan. Pop-up anime-themed cafes have been trending in Tokyo. They are cafes that only open for a limited time and feature many original menu items based on a certain anime. The whole decor of the stores is also heavily based on the anime they are themed on. Sailor Moon has her own temporary cafe in Ikebukuro, Tokyo (From December 8th, 2017 to January 7th, 2018). You can enjoy lattes and savory meals based on the world of the famous anime. There are so many excellent cafes in Tokyo worth exploring! I hope you have fun exploring and that you've found this guide useful.